After months of media speculation on the Russian president’s health, the Kremlin’s chief physician says Vladimir Putin is in excellent shape. The Russian president’s personal physician told the media that “from a medical point of view, Vladimir Putin is considerably younger than his years,” and that he demonstrates an excellent capacity for work. Experts believe that the statements were made in response to rumours that the head of state had been suffering from health problems. “He (Putin) is a very athletic individual. From a medical point of view, Putin is considerably younger than his years. His sporty lifestyle contributes to an excellent capacity for work,” said Deputy Manager of the Presidential Department, Surgeon General and Honoured Doctor of the Russian Federation, Sergei Mironov in an interview with the magazine Itogi. Mironov explained that the Russian leader dedicates a lot of time to swimming. “I believe he uses swimming as a way to deal with stressful situations, more so than anything else. 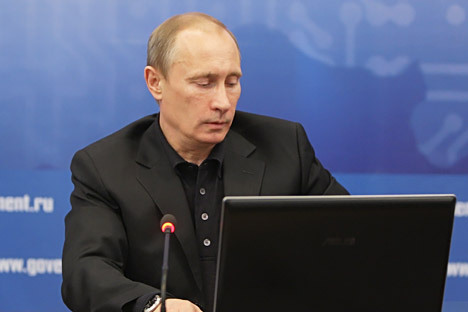 “Mr Putin is quite sceptical about taking any kind of medicine, even if it’s your run-of-the-mill cold tablet. He prefers natural remedies – tea with honey, a sauna and a massage,” the doctor added. Based on materials from RIA Novosti and Kommersant.